Putting a full set of RPG dice in your pocket and on your wrist! 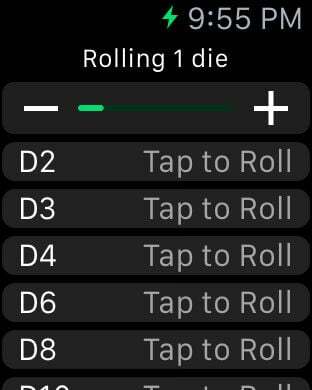 Swipe on your iOS device to roll, swipe further to roll more dice. Or tap your Apple Watch whenever you need a quick roll!